For Paul Thomas, quality and the natural beauty of cut flower material are paramount. 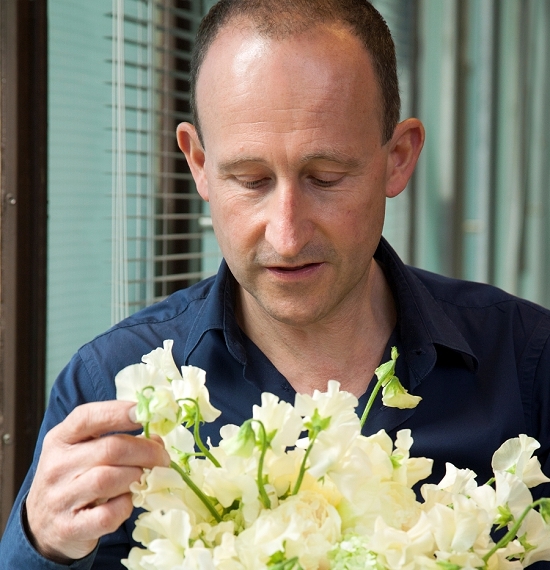 At our recent British Flowers Week workshop at New Covent Garden Flower Market, Paul created three signature pieces with his favourite British flower: the sweet pea. 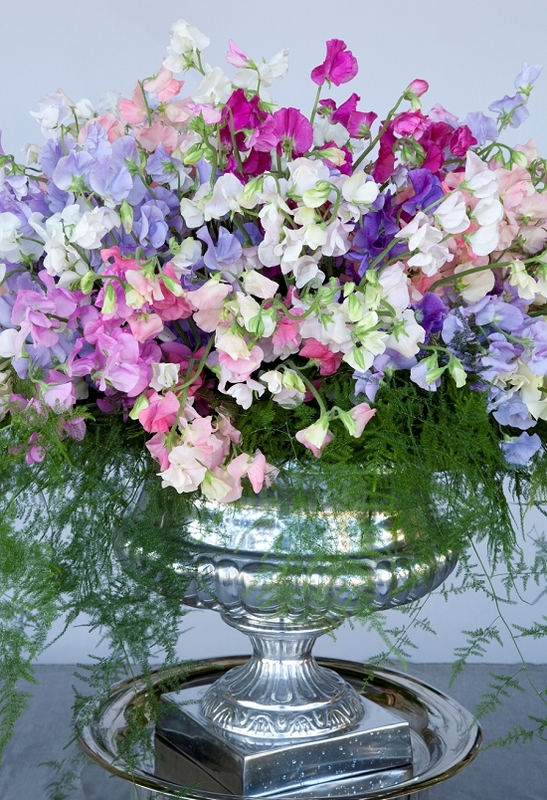 Paul set out to upset the conventional view of the sweet pea as a simple garden flower, and demonstrate the versatility of this charming English classic. "I love the papery softness of their petals and their delicate scent. 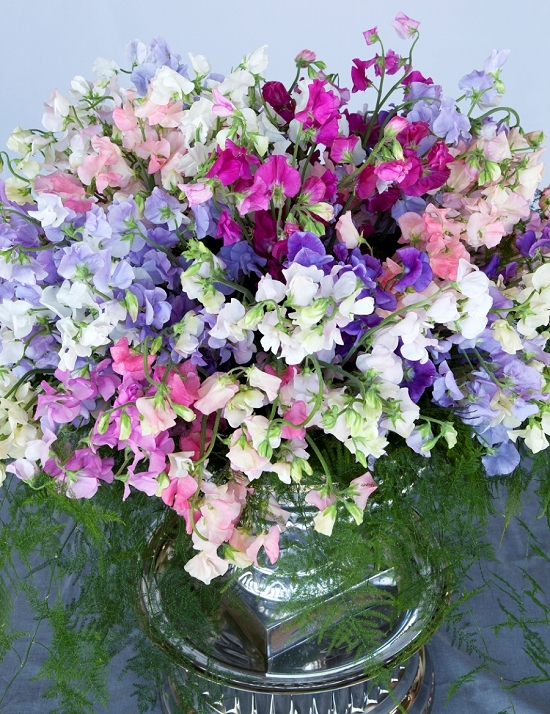 Sweet peas are beautiful on their own, you don't need to mix them too much. 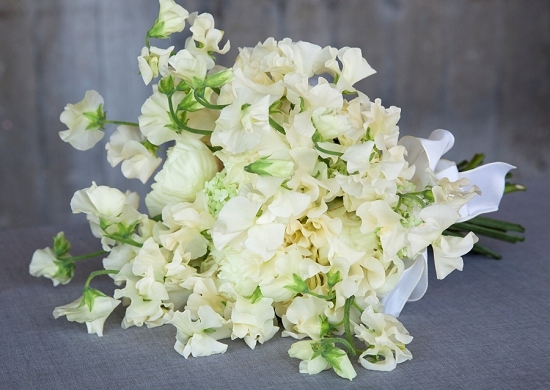 To me, if I am combining them in a bouquet or arrangement, it is important to choose flowers with a similar softness of petal such as peonies or the guelder rose - never with orchids, for example." For British Flower Week, Paul Thomas re-created a stunning silver urn arrangement that adorned the foyer of The Ritz recently. Paul loves the idea of using a simple garden flower in a grand way. 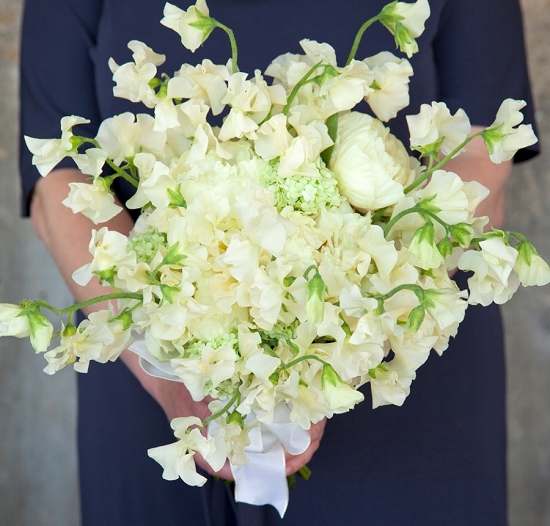 In this dreamily romantic wedding bouquet, Paul Thomas has used cream sweet peas, 'Mother's Choice' peonies and viburnum opulus, the Guelder Rose. 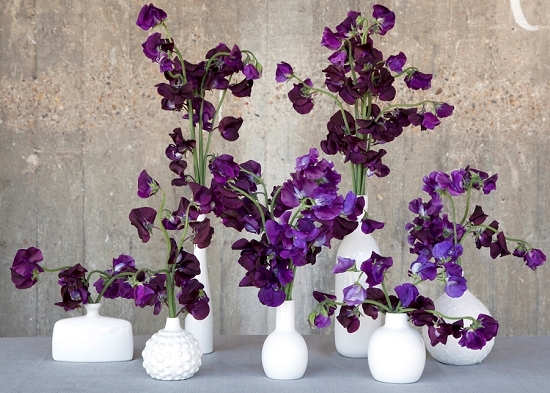 Stunning burgundy sweet peas in a mixture of white vases make for an enchanting table setting or mantelpiece arrangement.